A place where God is at work! Join us for worship at 8:45 am or 11:00 am every Sunday! All are welcome, no exceptions! Subscribe to our Parish Updates email list! 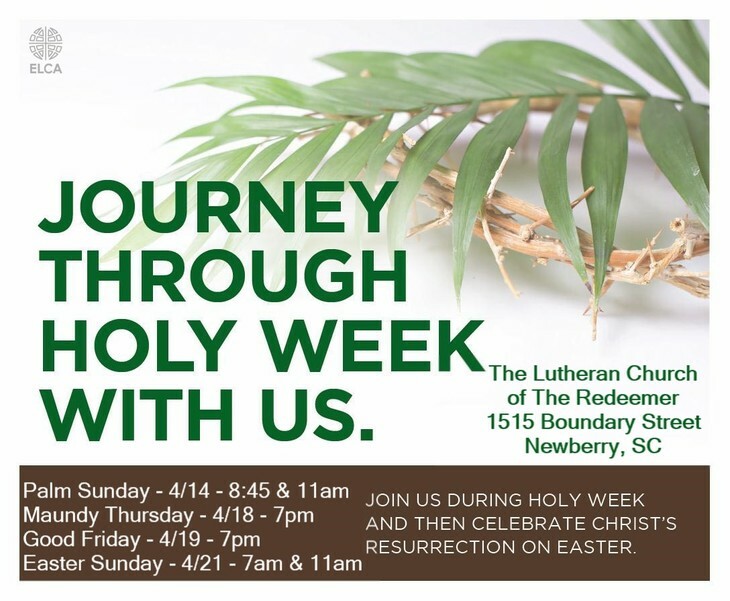 The Lutheran Church of The Redeemer is a Christian community of diverse people called and guided by the Holy Spirit to nurture with God's love those within and beyond our congregation. If you are interested and willing to be a greeter prior to the 11:00am worship service, please sign up on the bulletin board in the narthex.